If you’re quite a bit away from your horse, you can luckily call it back to you. The only downside to this is that there is a range as to how far your horse will hear you. If it’s too far away, you’re a bit out of luck unfortunately. 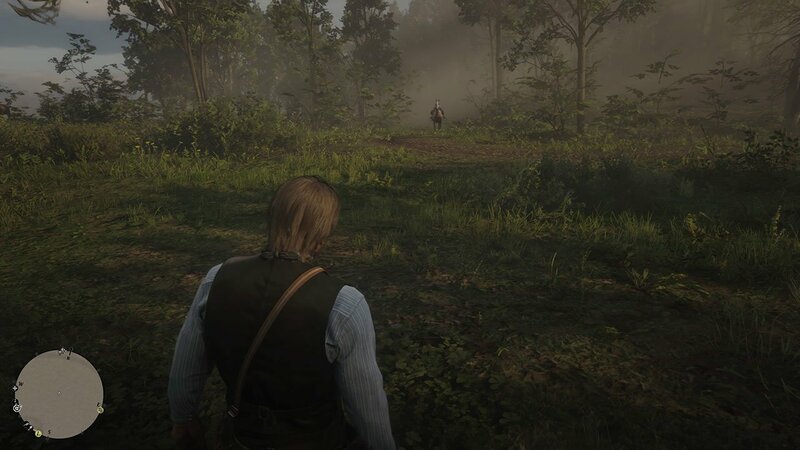 On the off chance that your horse isn’t too far away, you can whistle to it by pressing up on the D-Pad. The horse will start running towards you. Thankfully, you can actually increase the range for what your horse will hear you from. Where as if your horse doesn’t have a chance of coming back to you, there are ways to spawn it near you. You can see our guide below on how to do this. Whilst we’ve covered more content for Red Dead Redemption 2 available here. One of the mechanics in Red Dead Redemption 2 is Horse Bonding. As you build a trust and bond with your horse, you unlock new maneuvers and abilities. However, you’ll also unlock a bigger calling range. That means that each time you increase the bonding level with your horse, the range that your horse hears is much higher. There are a total of 4 bonding levels. If the horse is out of range in Red Dead Redemption 2, then you need to walk closer towards it. At least until you are at a range where it can hear you. However if you’re somehow on the other side of the map, other options are possible. You can get the train to a different station, or use the fast travel map in camp. If none of these options suffice, you may just have to steal a citizens horse. Just make sure there are no witnesses. If you build the horse station at camp, you can retrieve any horse you’ve owned, from anywhere on the map.